The 1 km trail running along the former bed of the Kloostri River features steep rises and falls and demands the driver to have courage and skills to control the vehicle. The trail is narrow and there are no overtaking possibilities. 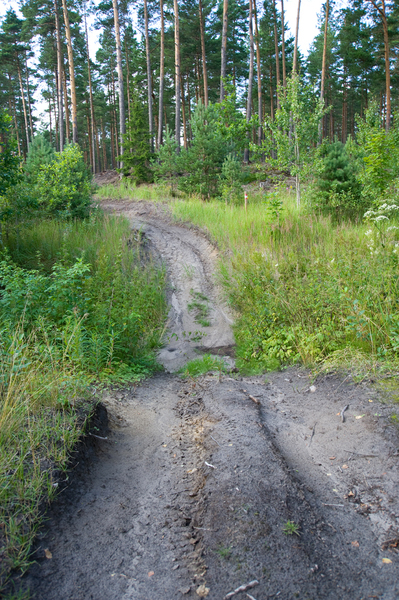 It is an off-road trail (not an off-road area), with a marked driving route and direction. The trail is suitable for ATVs. Due to the specifics of the trail, driving off-road trucks is prohibited. Winter accessibility Access road to the trail is kept clear of snow, but the trail is not. 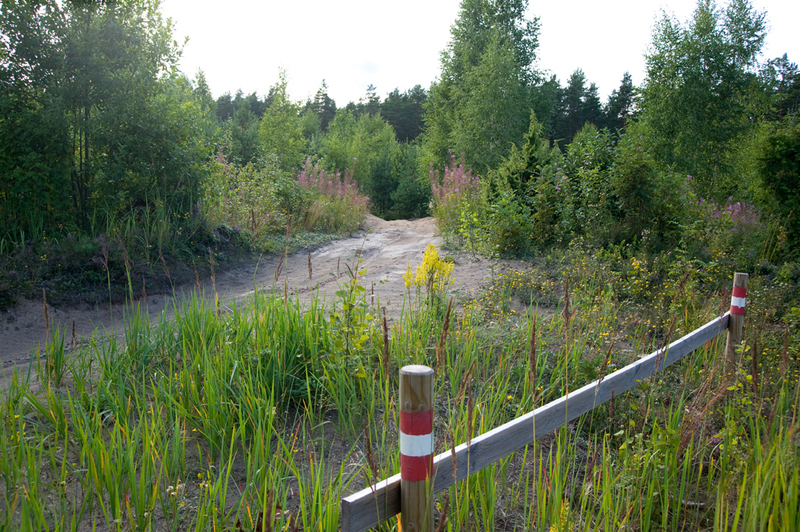 Additional information Padise off-road trail is partly situated on private land belonging to the Kallaste farm. 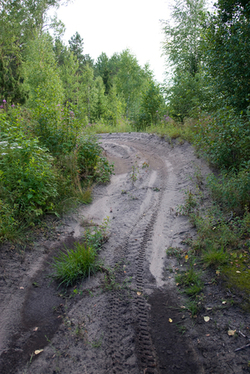 Restrictions During off-road driving, the driver must not harm the environment by excessive noise, dust or exhaust gases caused by the engine of the vehicle or other equipment, if these could be avoided; clean the off-road vehicle in a body of water or on the shore closer than 10 metres to the shoreline; contaminate the environment with fuels or lubricants or change the off-road vehicle’s oil in a place not intended for such actions; harm, litter or in other ways contaminate the area used for traffic; drive an off-road vehicle with leakage that may pollute the environment. 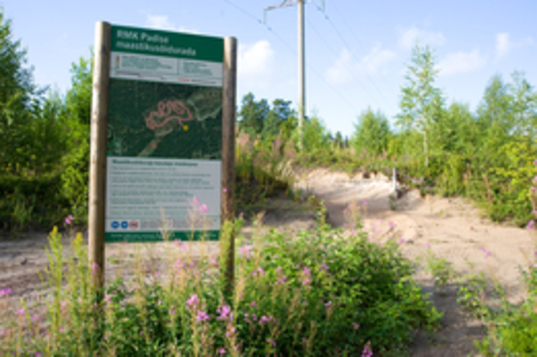 Driving directions To get to Padise off-road trail, drive along Tallinn–Haapsalu road, after Rummu turn right towards Kasepere village and drive 1 km.